Justice for Trayvon Martin! 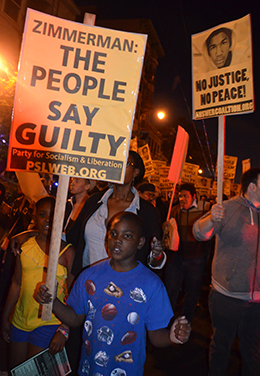 Demonstrations around the country! People say George Zimmerman is guilty! 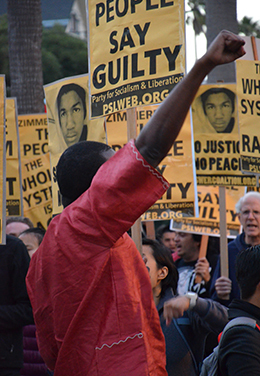 In response to the acquittal of George Zimmerman for the murder of Trayvon Martin, the ANSWER Coalition immediately took to the streets around the country. 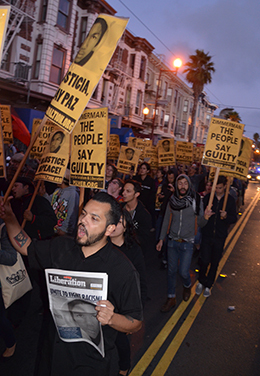 In San Francisco, we picketed at 24th and Mission St. before marching to 16th and Mission St., up to Valencia St. and back to 24th and Mission. 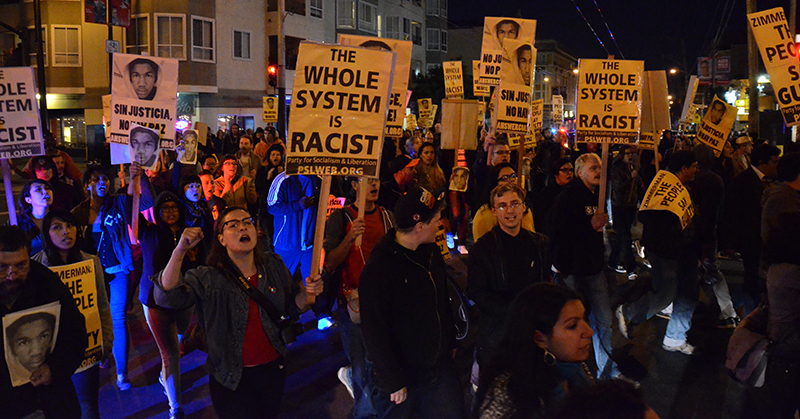 The march grew and grew, with eventually over 450 people taking the entire street from sidewalk to sidewalk, as the community came out of their homes and stores to stand for justice for Trayvon Martin. On Saturday, July 13, George Zimmerman was acquitted of all charges in a second-degree murder trial. Zimmerman shot and killed Trayvon Martin, a young Black man, in cold blood on the streets of Sanford, Florida, on February 26, 2012. After killing Martin, Zimmerman roamed free for 44 days before the angry response of millions of people forced the state to take action. The sequestered jury of six women, all white except for one, came back with a not guilty verdict after only two days of deliberations. The verdict is a travesty, a continuation of the complicity of the racist, so-called criminal justice system that refused to treat the murder as a crime and has now left a vigilante free to roam the streets. The system of racist brutality carried out against poor people and people of color in communities from Florida to New York to California to Texas and elsewhere is on the offensive.